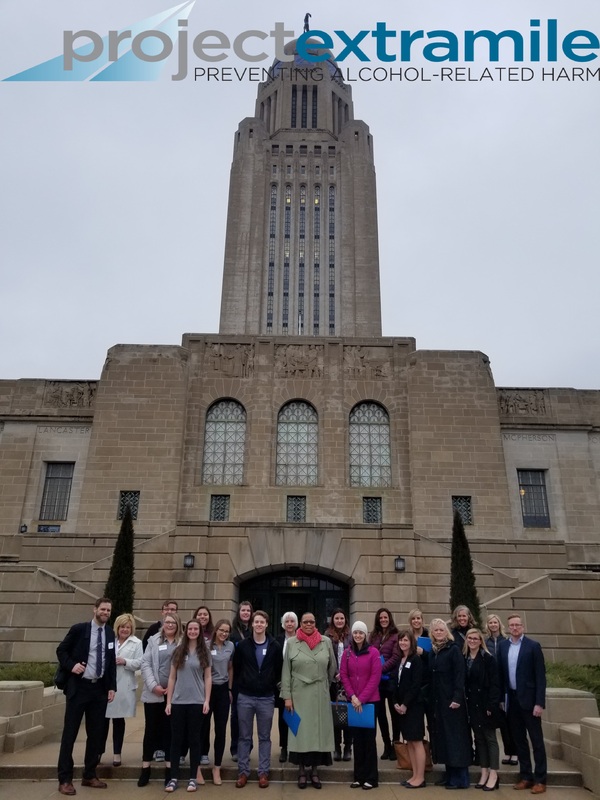 Project Extra Mile invites you to join us for Public Health Day at the Capitol which is being held in Lincoln on Tuesday, April 2, 2019. Join us as we partner with the Nebraska Association of Local Health Directors (NALHD) and the Public Health Association of Nebraska (PHAN) to kick off Public Health Week and the 2019 Nebraska Public Health Conference with a special pre-conference event. We are inviting community coalitions, public health professionals and educators, students, the faith community and others to share the science and efforts to prevent underage and excessive drinking, as well as other public health issues in Nebraska with policymakers. Public Health Day begins at 12 p.m. with a presentation by Lincoln-Lancaster County Health Department Director Shavonna Lausterer and Public Health Association of Nebraska President Colleen Svoboda. Following presentations, participants will have an opportunity to meet with senators and visit public health exhibits at the Capitol. To register for the event, please fill out the registration below, making sure to indicate if you would like help setting up a meeting with your Senator(s). The parental permission slip for the event can be found here. Public Health Day at the Capitol is a great way to be civically engaged whether you are a student, professional or community member. Your presence on April 2nd is important -- we can't do it without you! Deadline to Register is March 25, 2019. If yes, please complete the fields below. Copyright © 2019 Project Extra Mile. All Rights Reserved.